Country Manor Acres in Townsend, TN, a small, genuinely peaceful little stretch of landscape right at the gates of the Smoky Mountain National Park, provides two highly Southern and exquisite items for newlyweds wanting to celebrate their big day in a very unique way – the Applachian Party Barn for the reception afterwards, and the Hayloft Sky Cabin for a honeymoon night or a place where family can stay. 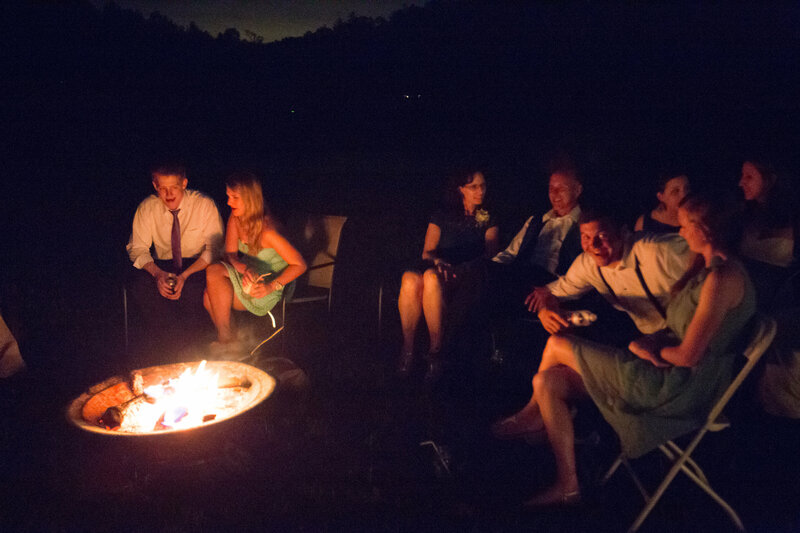 The Appalachian Party Barn is not simply a novelty, it is a full-service event accommodation for weddings, family reunions, baby showers, barbecues or any other get-together you could think of. Double doors on both ends of the barn and stall doors on the sides of the barn keep the barn bright and 3 paddle fans circulate the air. The center open area is large enough to accommodate a full band and dance area, and buffet. Most guests actually sit inside the stalls for dining! It’s definitely a great way to make the reception memorable and interesting and there’s even ample parking space for 100 guests. The Hayloft Sky Cabin is also a re-structured barn for overnight guests – up to 8 can sleep comfortably in the cabin, but you may also want it for just the two of you! The cabin features two king beds, two queen beds, a single bed, a queen sleeper/sofa, double-size futon sleeper, two and a half bathrooms, pool table, musical organ, flat screen TV and some of the best views of the Smokies in Townsend you can find!